Acne isn't one or two zits on your face that pop and disappear. Acne is a sign of imbalance within, that presents itself as painful pimples all over your face. In my case, it was a hormonal imbalance. I've tried everything, all the lotions, all the dermatologists. The best results I've seen to combat my acne is by looking within and cleaning up my diet. Now I am left with some scaring. I'd like to think it doesn't affect my confidence, but I'd be lying if I said that was true. I am so thankful to be working with Dr.Allana Polo at Polo Health in New Westminster. I received my first Mesotherapy treatment and I'm already feeling more hopeful. 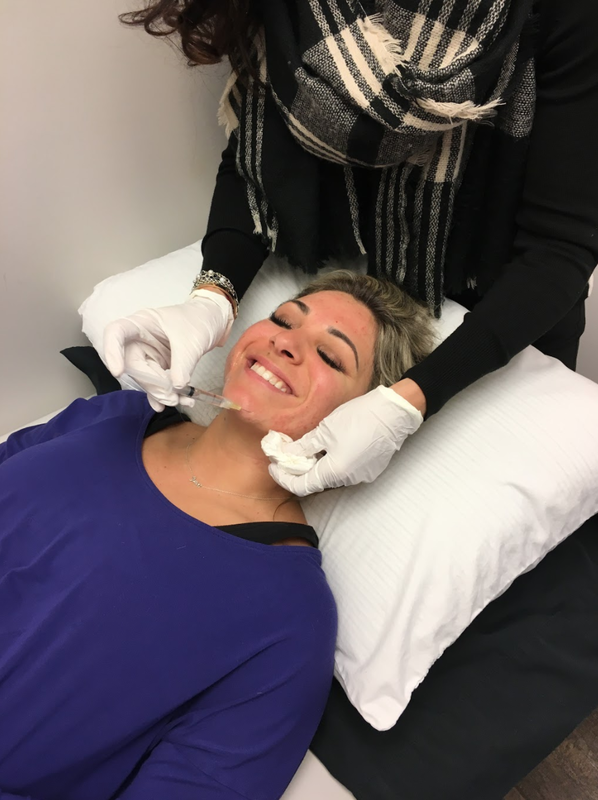 Mesotherapy is a treatment that stimulates the mesoderm, or middle layer of the skin, using various injectable agents containing nucleoproteins, vitamins, minerals and botanicals that are administered subcutaneously with special micro needles. Micro-drops of the substance are slowly absorbed into the bloodstream. I'll keep you posted as to how my recovery goes, follow me on Instagram @MGMFit_Mandy. What a fun experience - and very pain-free for a needle nervous woman like me!